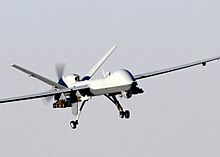 ↑ 1.0 1.1 Pir Zubair Shah, "Pakistan Says U.S. Drone Kills 13", New York Times, June 18, 2009. 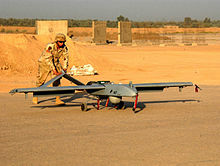 ↑ David Axe, "Strategist: Killer Drones Level Extremists’ Advantage", Wired, June 17, 2009. 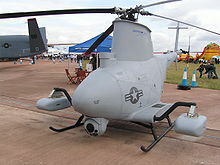 ↑ 3.0 3.1 3.2 Taylor, A. J. P. Jane's Book of Remotely Piloted Vehicles. ↑ The Guardian, 23 March 2009. "Cut to pieces: the Palestinian family drinking tea in their courtyard: Israeli unmanned aerial vehicles—the dreaded drones—caused at least 48 deaths in Gaza during the 23-day offensive." Retrieved on August 3, 2009. ↑ "Precisely Wrong: Gaza Civilians Killed by Israeli Drone-Launched Missiles", Human Rights Watch, 30 June 2009. ↑ "Israel/Gaza: Civilians must not be targets: Disregard for Civilians Underlies Current Escalation". Human Rights Watch. 2008-12-30. สืบค้นเมื่อ 2009-08-03. ↑ Newsweek, July 8, 2009. Anita Kirpalani, "Drone On. Q&A: A former Pakistani diplomat says America's most useful weapon is hurting the cause in his country." Retrieved on August 3, 2009. หน้านี้แก้ไขล่าสุดเมื่อวันที่ 2 เมษายน 2562 เวลา 13:55 น.